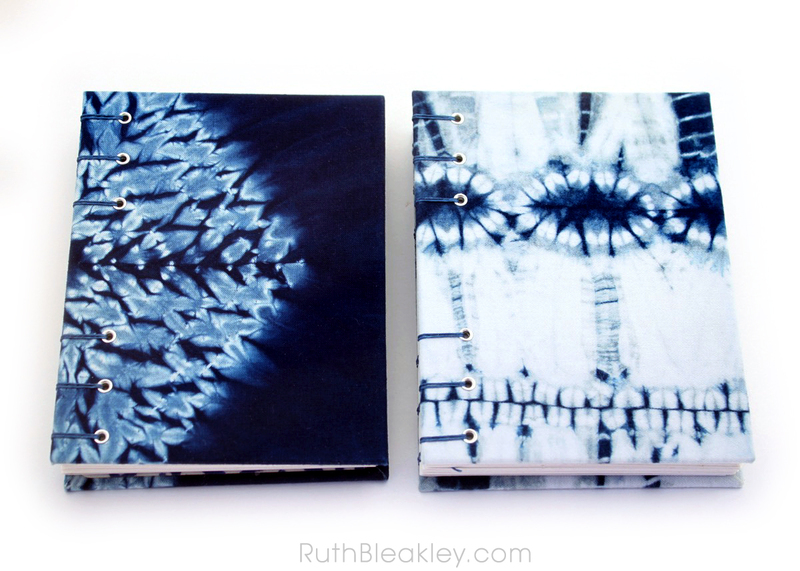 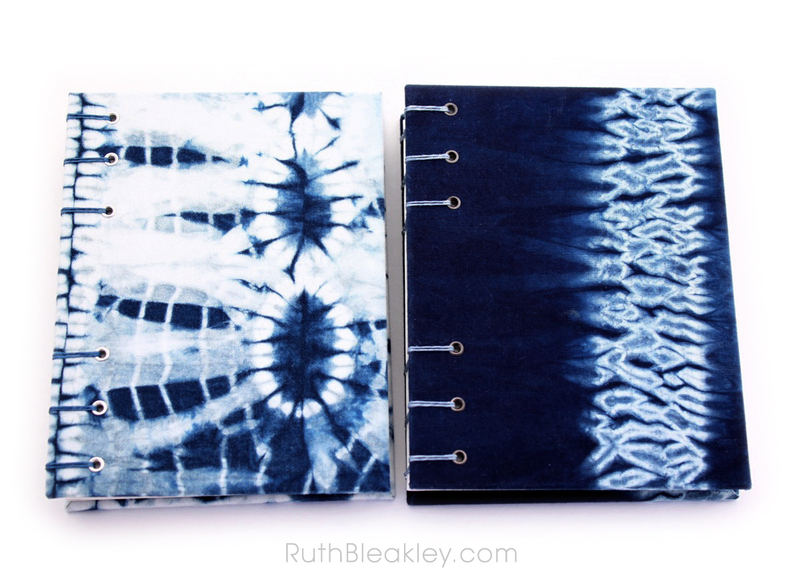 Here are some of the beautiful journals I created using the skills I learned in two of the workshops I took in 2018 – Shibori Tie Dye workshop at Aya Fiber Studio in Stuart, Florida, taught by fiber artist Jane Callender and the Making Book Cloth Workshop in Asheville taught by bookbinder Sara Brooks. 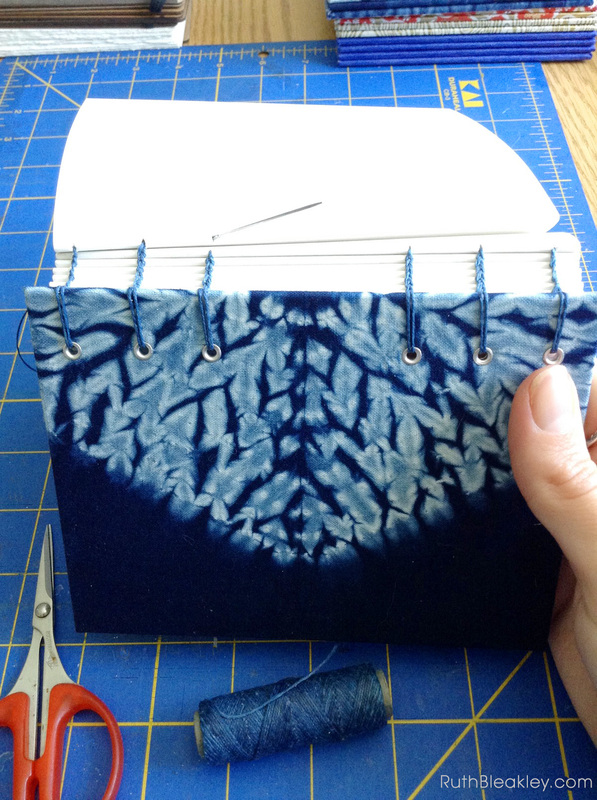 I love challenging myself to learn new things! 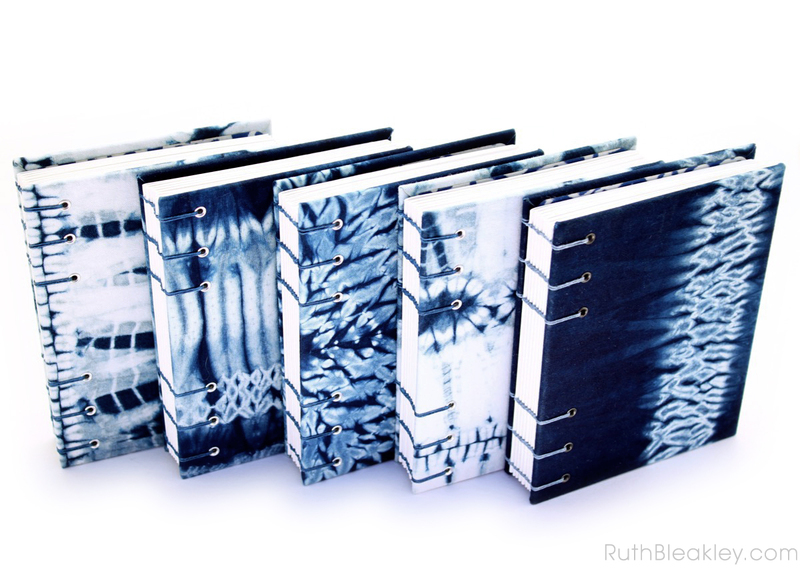 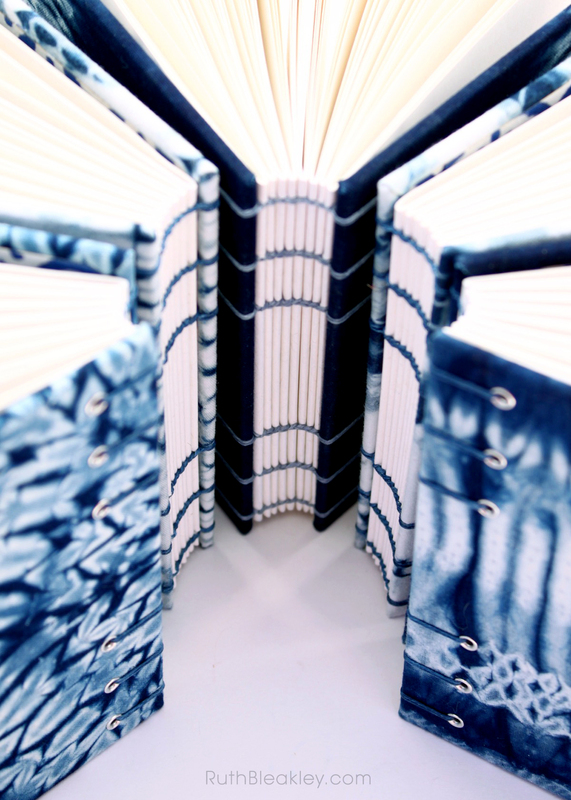 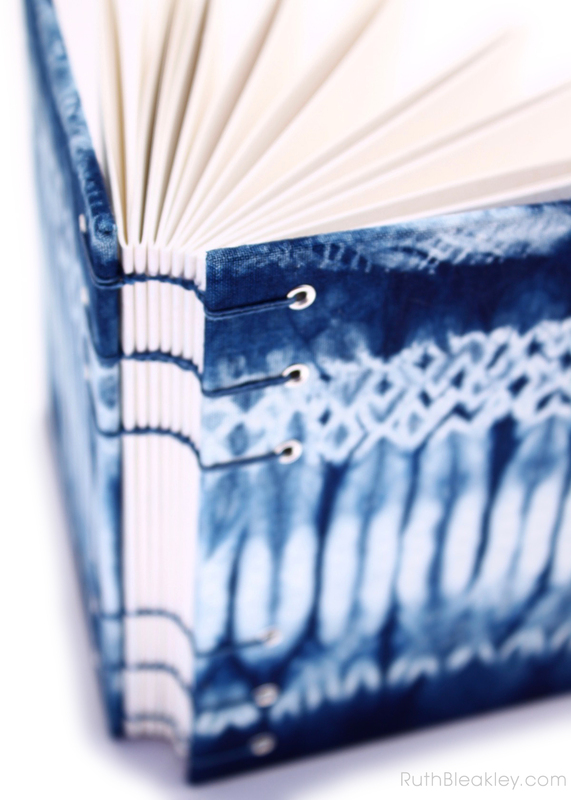 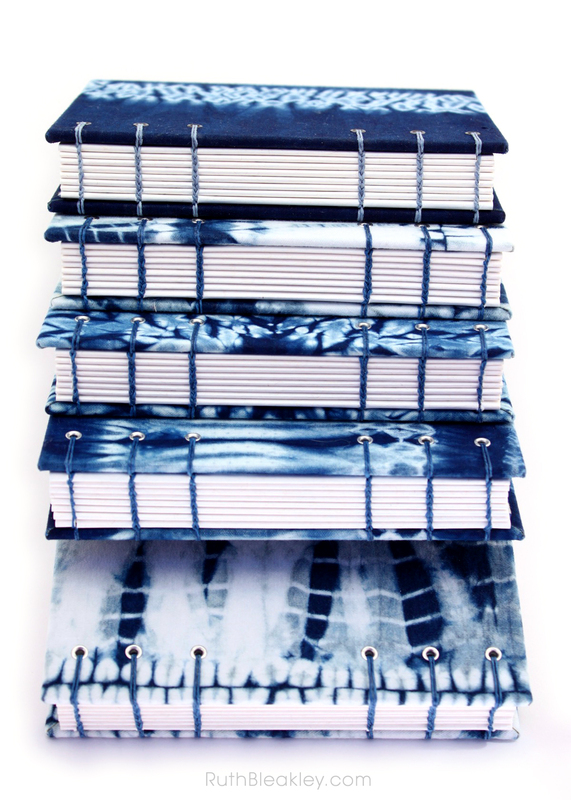 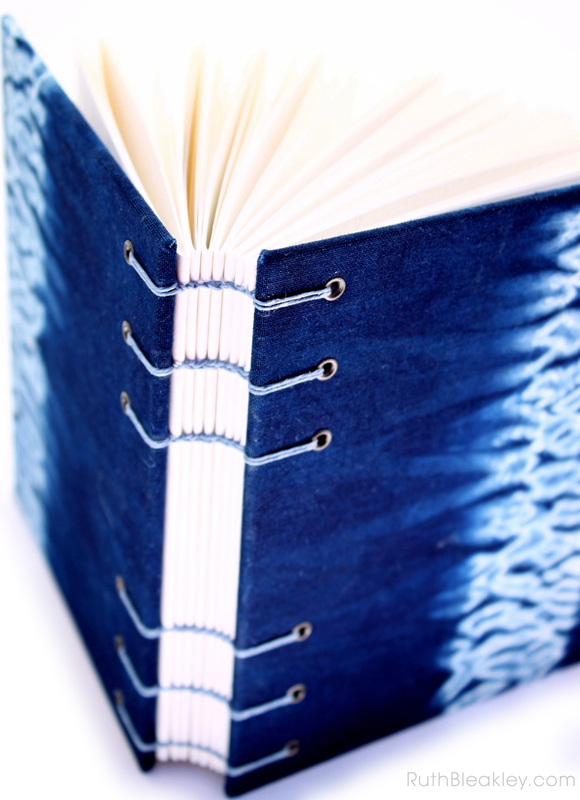 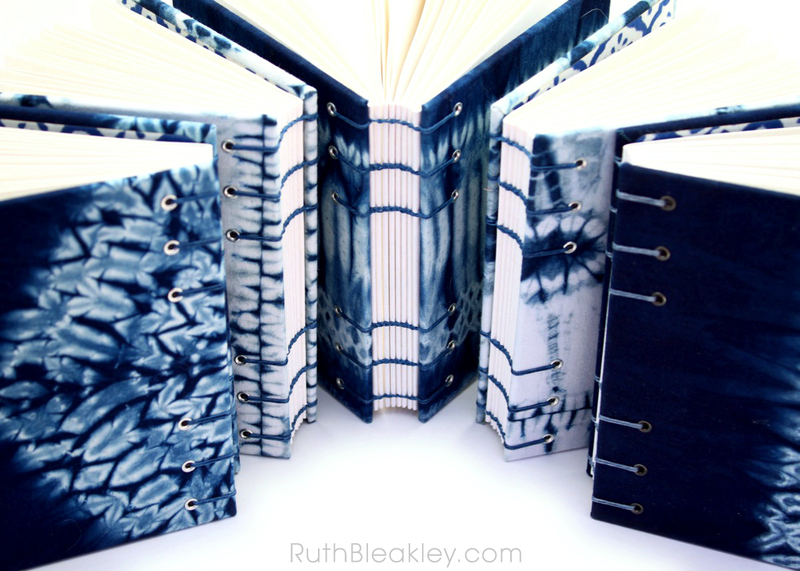 Each of the journals pictured here is covered in a paper-backed cloth that I created myself using detailed stitching patterns and indigo dye. 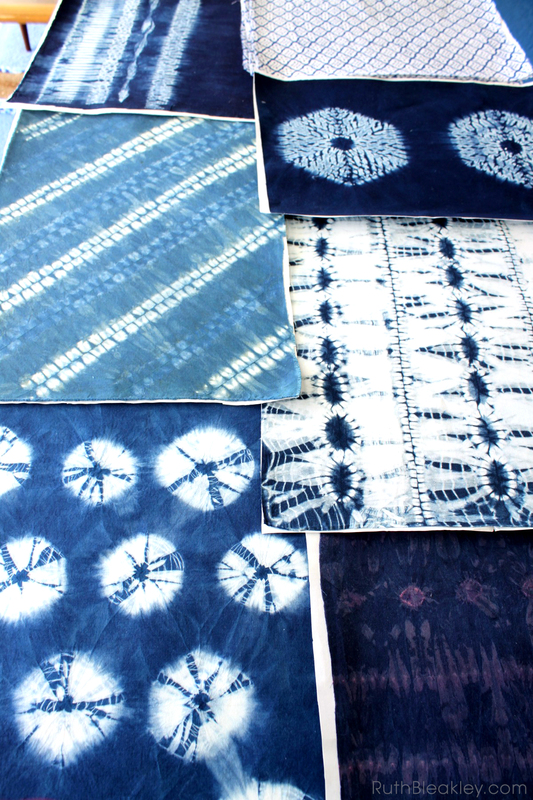 The variations in blues that you see all come from the indigo, and the white is from where the fabric was bound tightly with thread and resisted the dye. 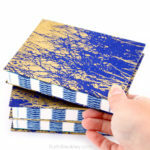 This post is mostly photos, I invite you to scroll through and enjoy! 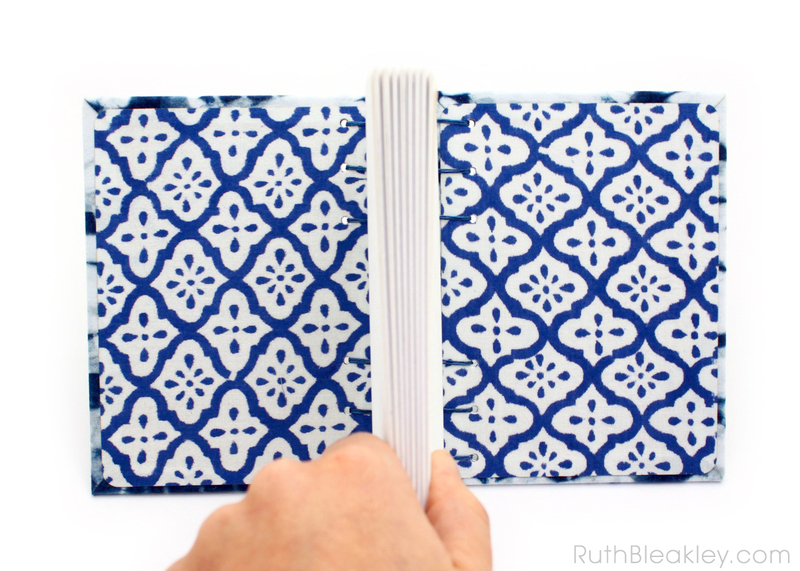 If you want to read more details about how I made the fabric, check out the workshop post I linked to above. 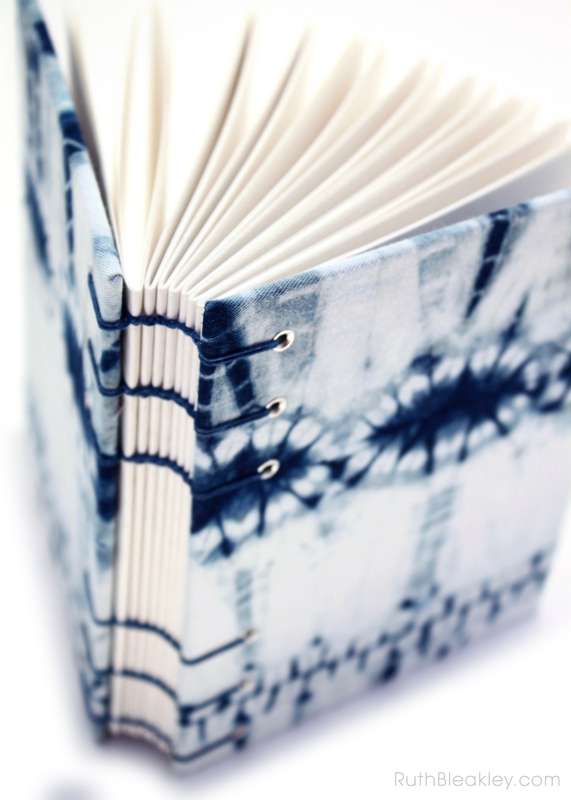 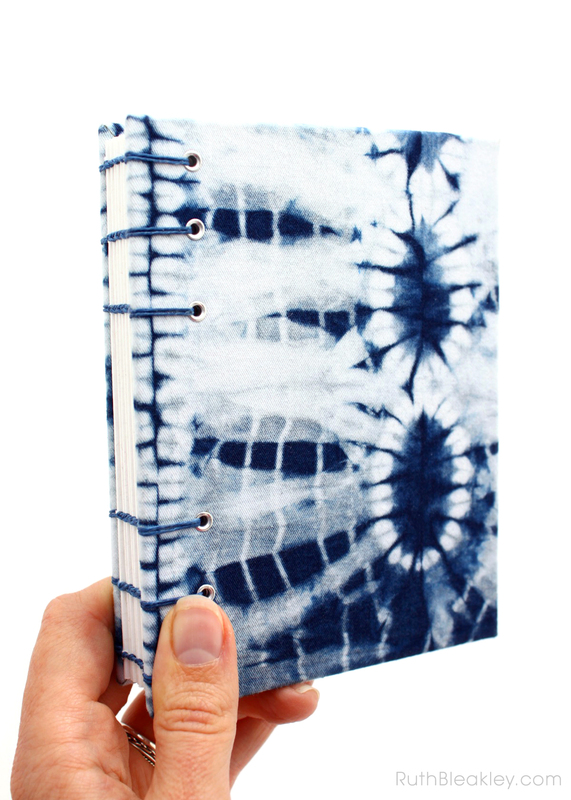 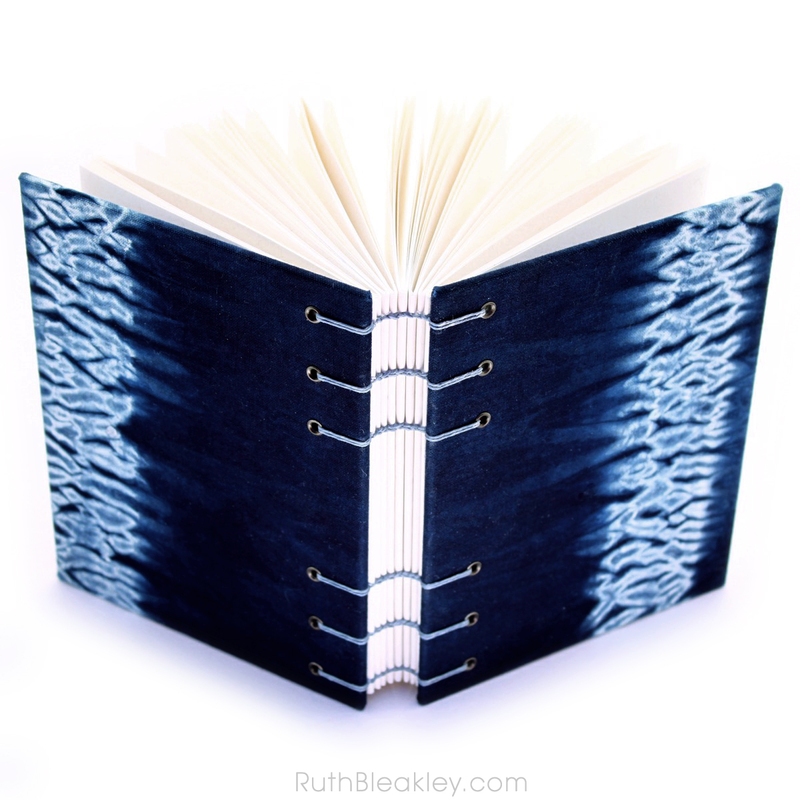 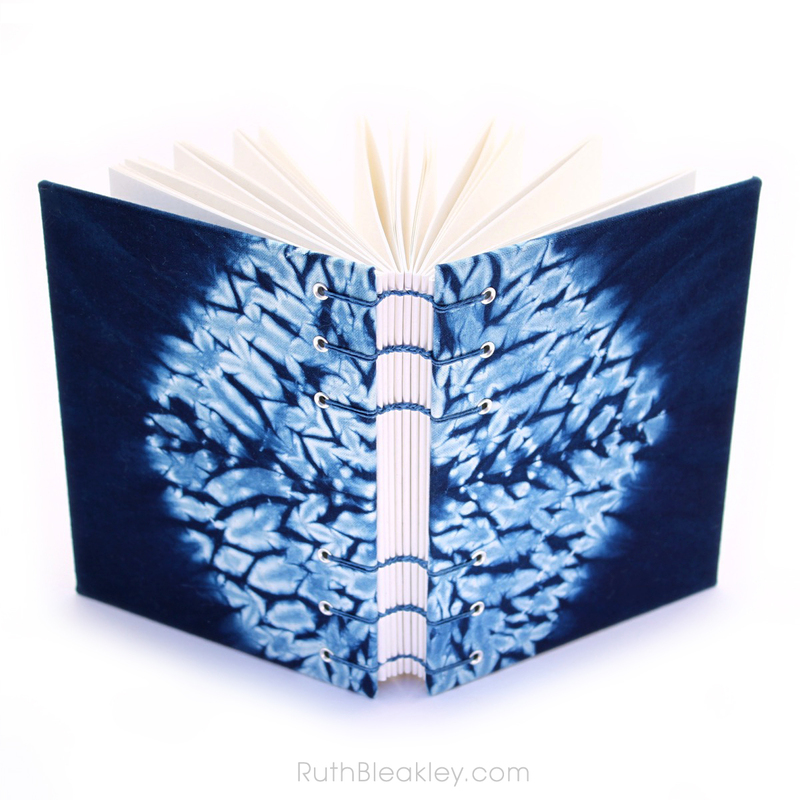 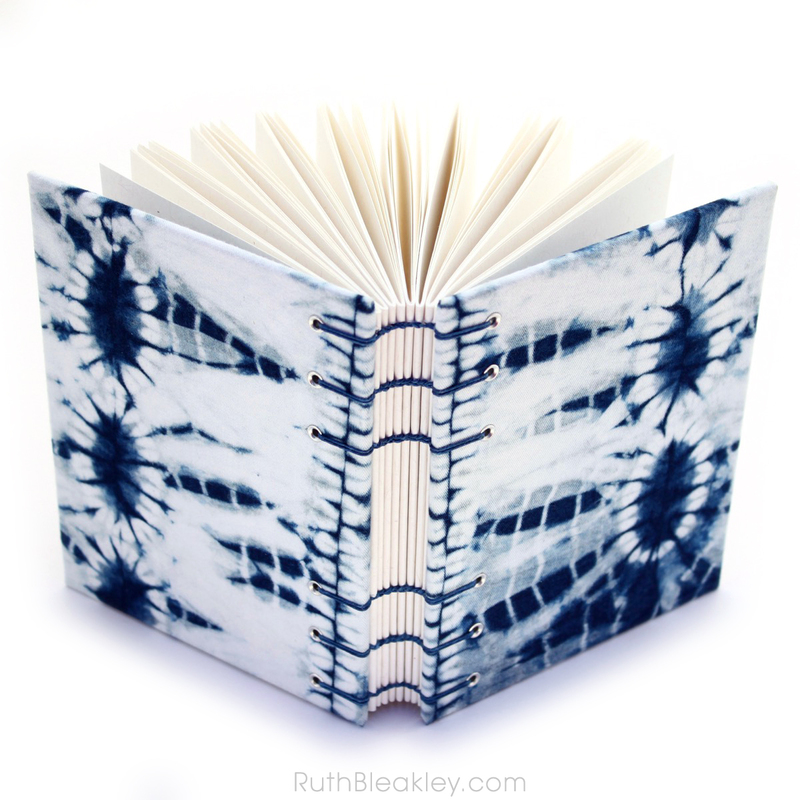 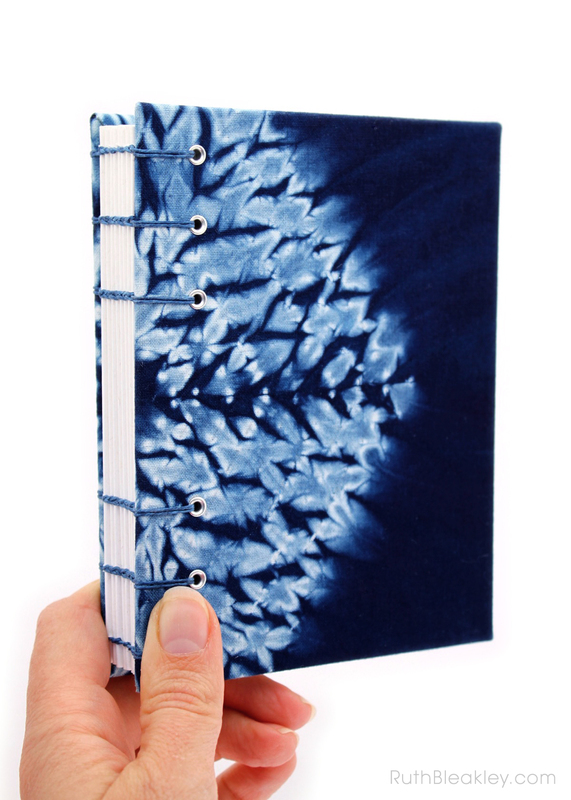 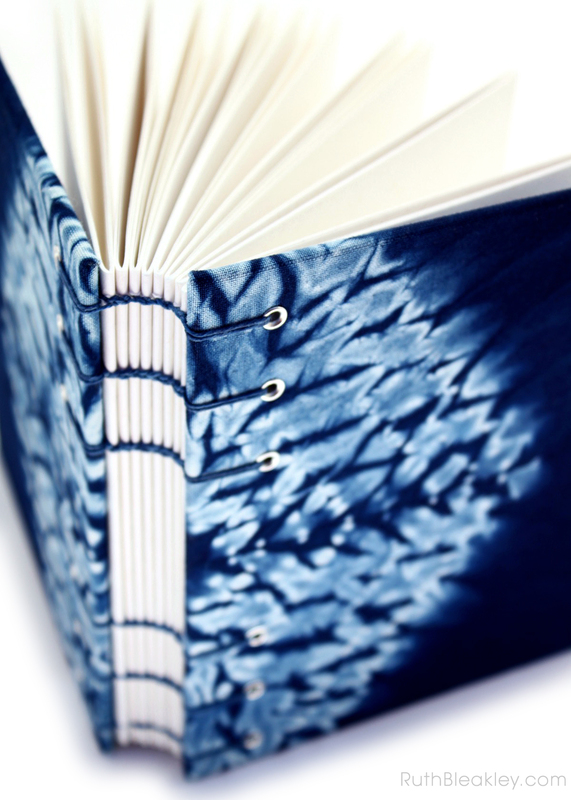 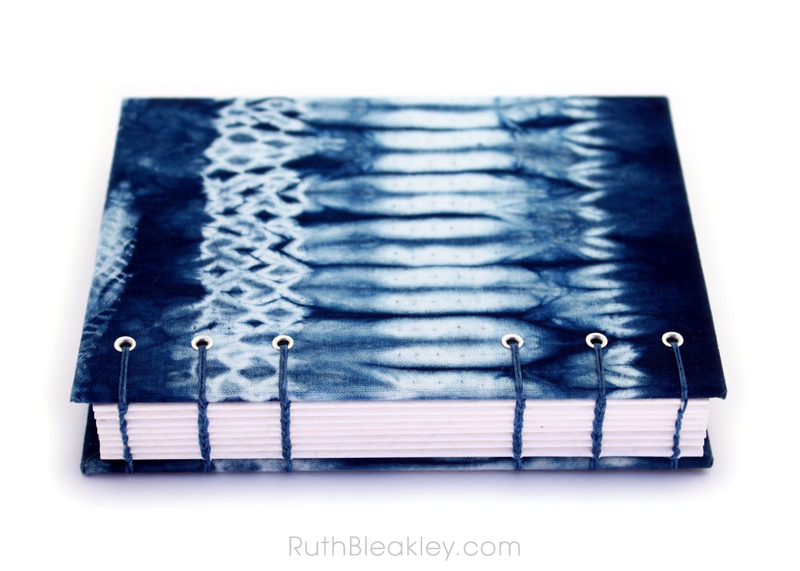 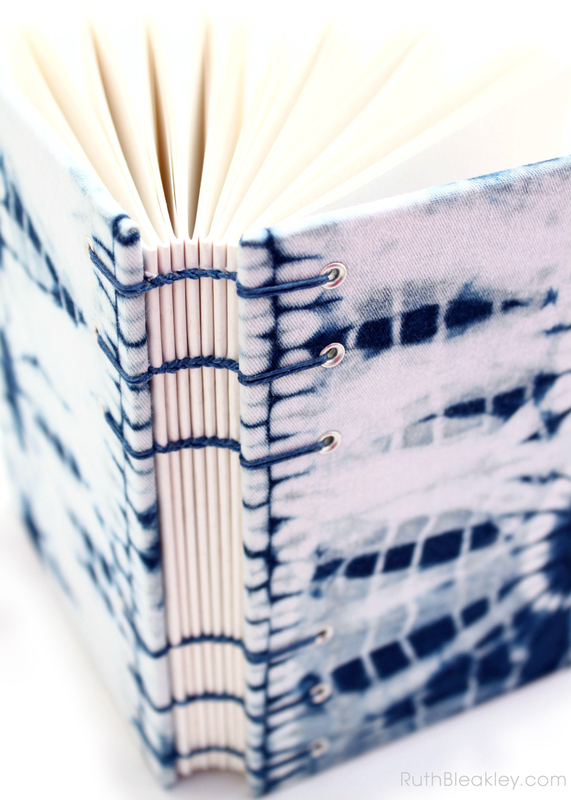 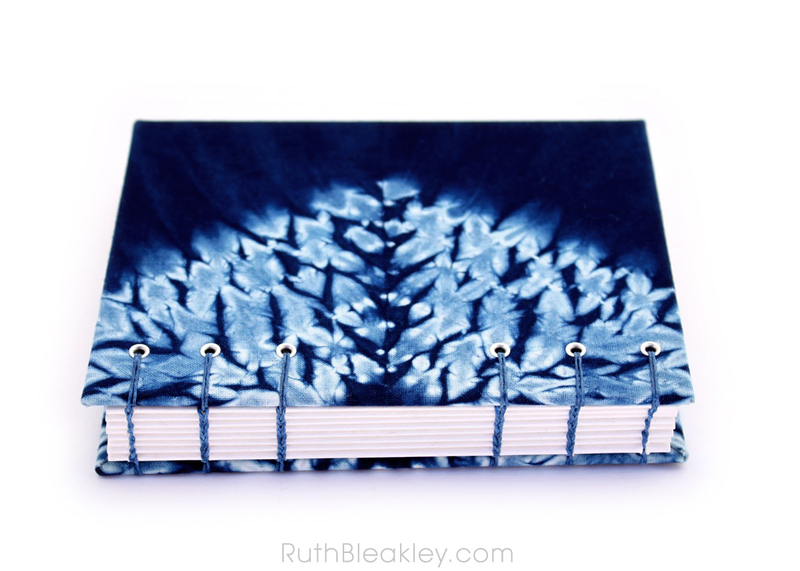 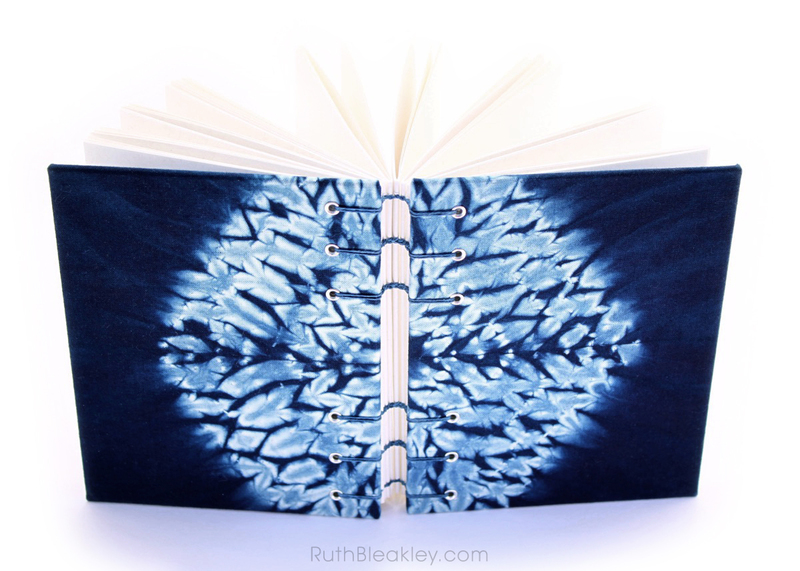 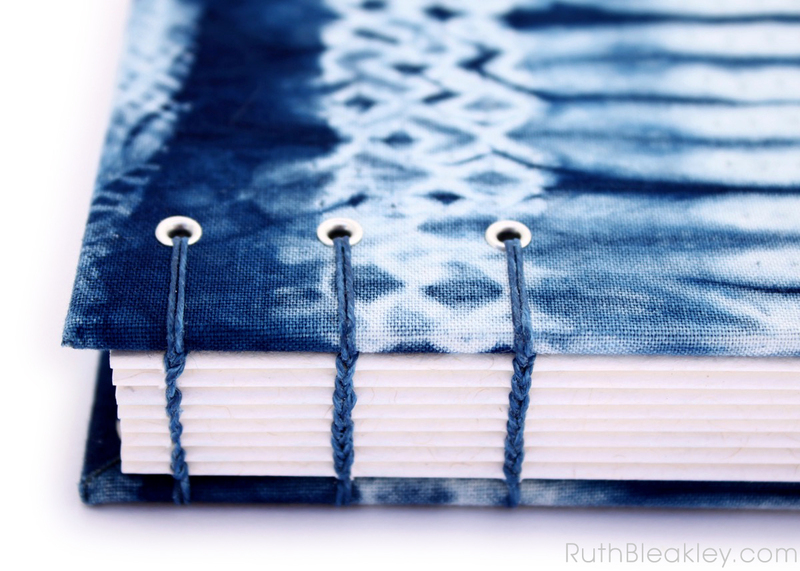 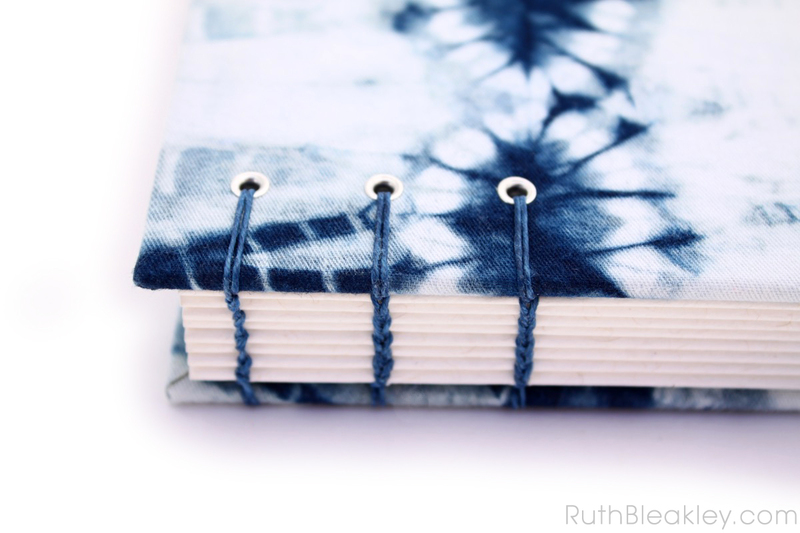 You can see if I have any shibori journals for sale in my shop, but keep in mind that each piece of fabric is hand-dyed and one of a kind, so once I sell out of one, I probably won’t be able to reproduce it. 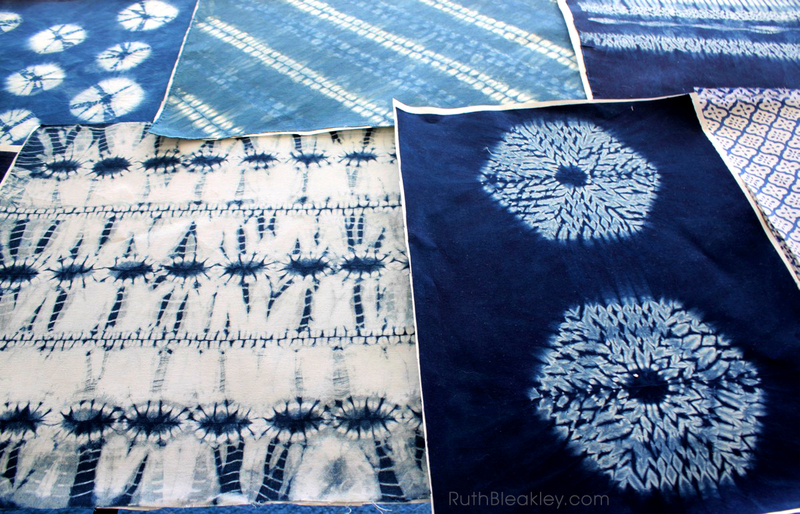 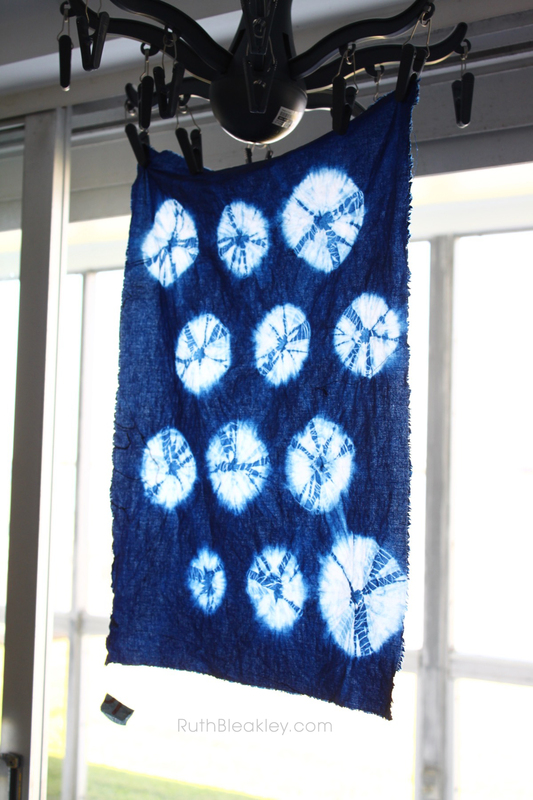 If you’re interested in learning how to make any of the indigo patterns shown below, check out Jane Callender’s book Stitched Shibori: Technique, innovation, pattern, design. 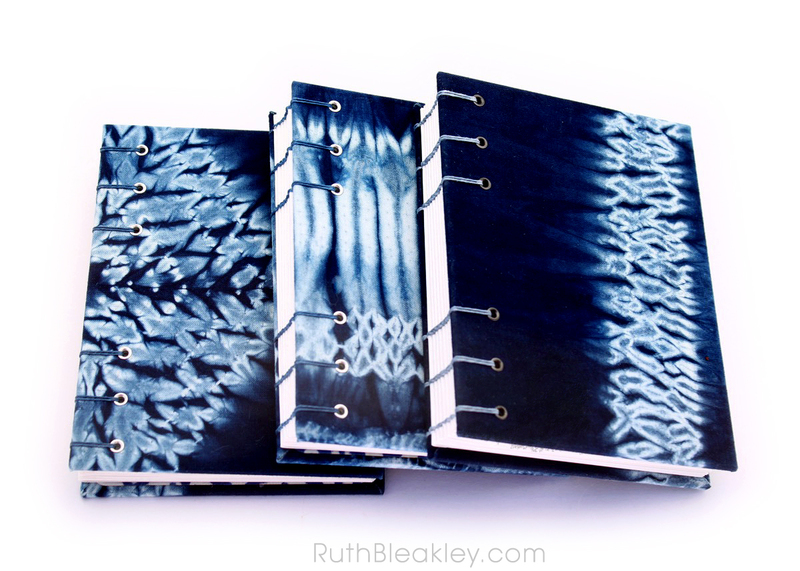 This one is pretty funny because I think the designs look like dental X-rays! 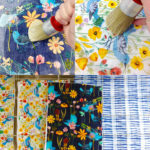 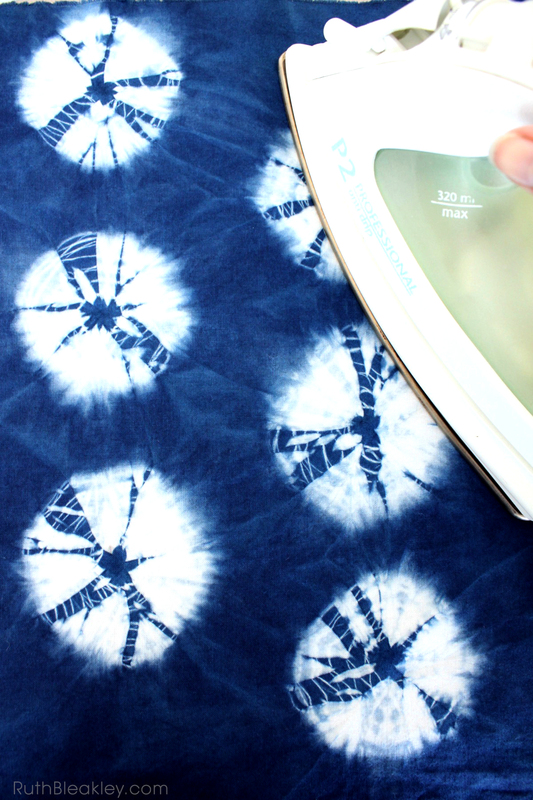 Spoonflower.com allows you to print custom fabrics by uploading your own digital images. 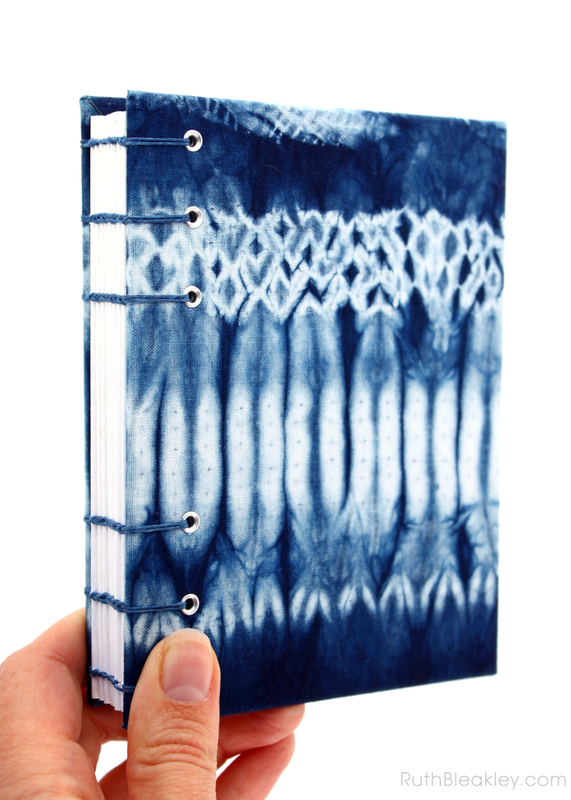 The “dental x-ray” pattern is often called donkey’s teeth. 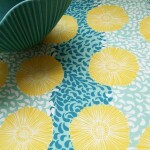 One of my favorite. 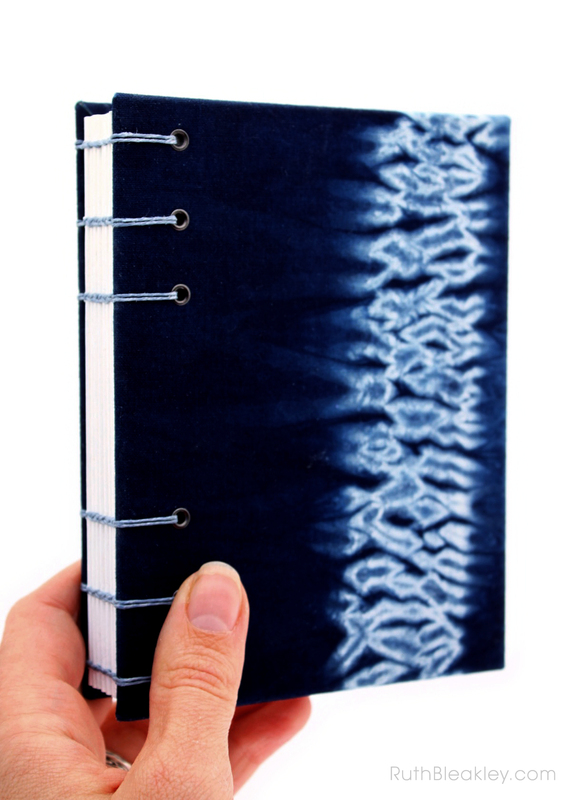 That’s great to know, Diane! 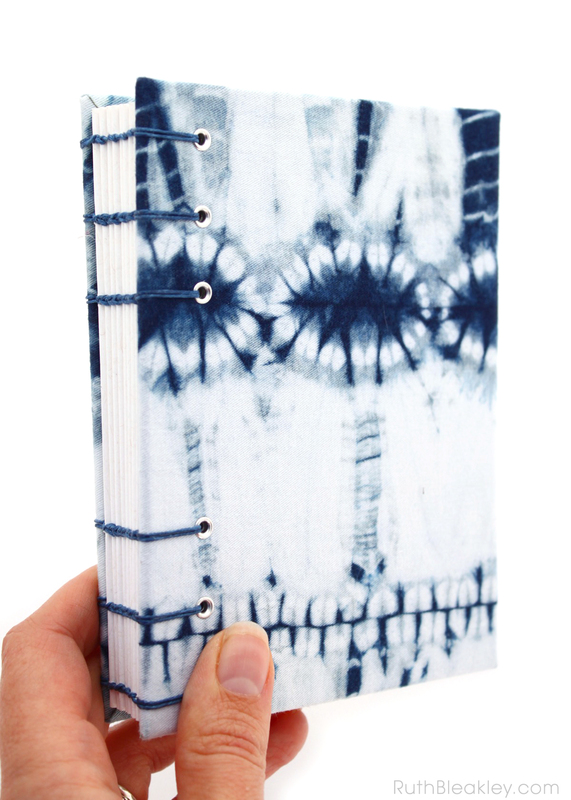 haha, Donkey’s teeth!